Installing your artificial grass yourself can save you money. 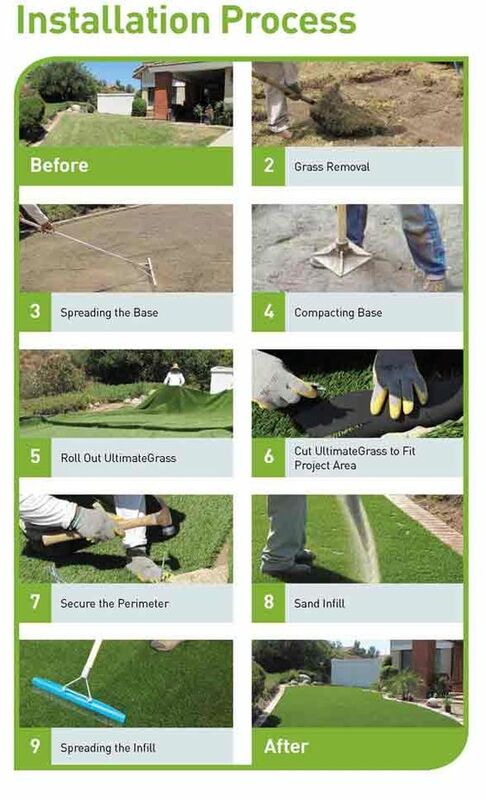 The simple steps below will help you get the most out of your great looking artificial lawn. If you need some help? Contact us and we will talk you through the whole process. 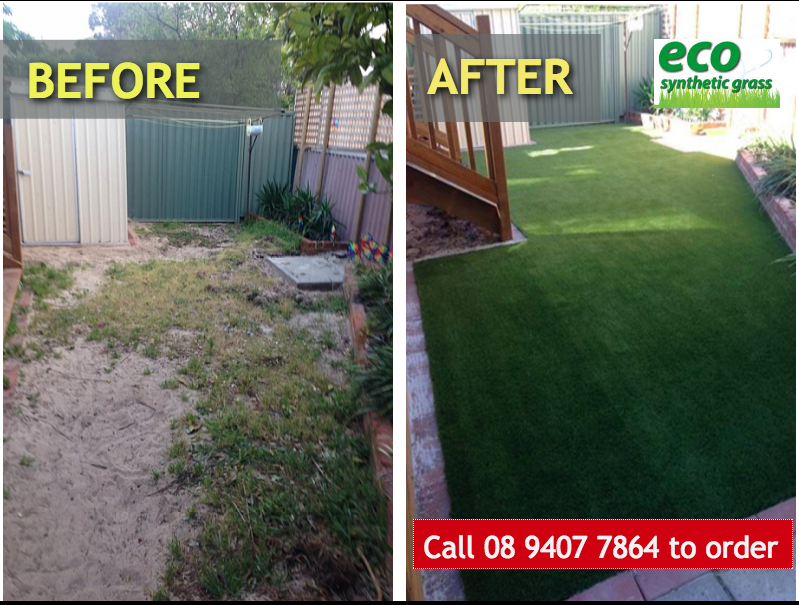 Synthetic lawn installation is very simple and can be completed easily with a few everyday tools. Firstly and most importantly, remove all objects such as hoses, garden tools, sprinklers etc prior to installation. With artificial grass these objects may indent the grass and although not permanent, it can still be unsightly. Spray weed killer to ensure no vegetation will grow under the area in the future. A depth of approximately 60 mm is ideal for the installation of your new lawn. Once you have reached this, use a rake to smooth out existing soil evenly. Once the area is smooth and flat, it is now ready for road base which simply is crushed stone. This process is very similar to paving. Prior to bringing in the road base, it is recommended that you light water the area of which the lawn will be laid. For best results, the road base should be applied on the ground with a 10mm to 110mm layout. Ensure you level the base as level as possible. Water it slightly. Compact the crushed stone into a fine layer. It is important to remember that the crushed stones will aid in the drainage. Thus a slight slope is highly recommended. It is very important to keep this layer compact before a fine layer of sand or crusher dust is applied and rolled out with a lawn leveler. This helps you achieve the finest level for your new lawn. Roll out your new turf in the required sections. Allow it to rest for an hour. Once rested, cut your lawn as required with a Stanley knife or Carpet Knife and allow 2mm gap along your edges for the finish. Once the alignment of the grass has been prepared it is now time to use a seaming tape to attached the pieces of lawn together. Ensure there is no overlapping of tape or lawn. Attach the lawn to your base, with a staple or long nails. Ensure when you staple that your start at one side of the area so you can pull the lawn tight from the other side. This is crucial so that it is attached securely and properly. Do remember the staples hold the edges of the lawn in place. Wanna save on synthetic lawn installation? This woman did it. Watch how she did it. Need help with synthetic lawn installation? Read here.